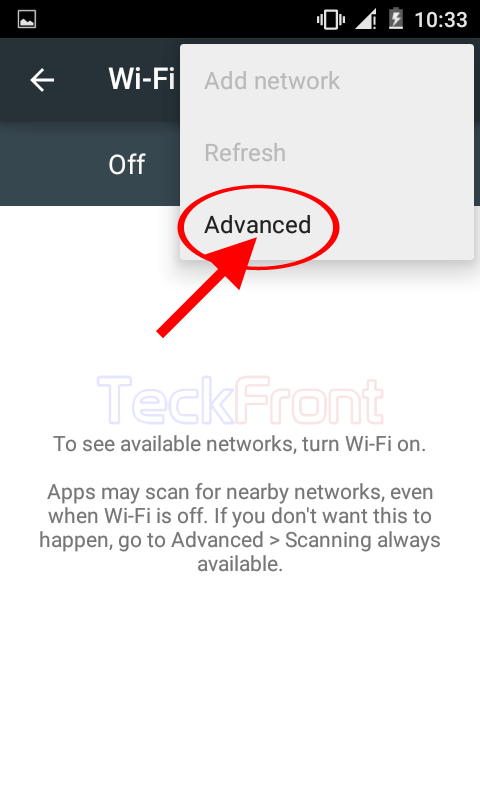 How to Enable Wi-Fi Scanning Always Available in Android 5.0.2 Lollipop? Some of the apps are designed to secure data from any available network, even though the Wi-Fi is switched off. Google location service is one such app. This option of some of the apps is looked, good, but for some of the users, excessive data collection may not be good. Some of the users do not look at it, favorably, as it may disclose their privacy or may steal their personal data. This is the reason, some of the users may like to disconnect always availability of the Wi-Fi scanning. 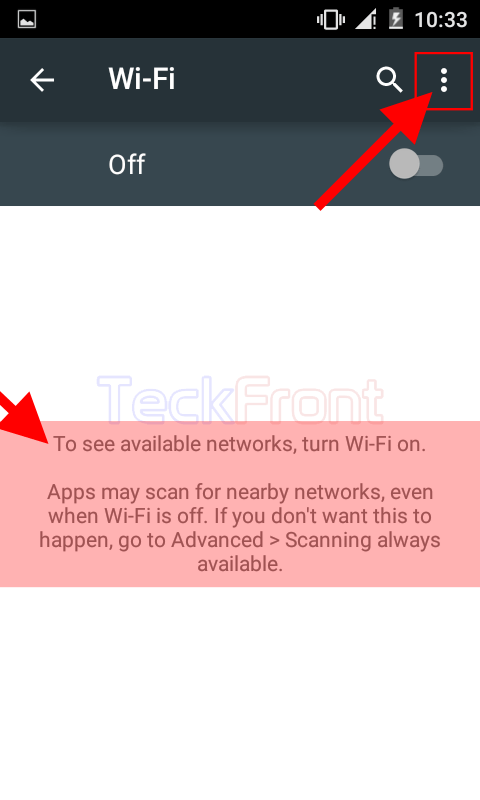 For such users, Android has added a feature in Lollipop which if disabled, may disconnect availability for scanning. You may enable or disable Wi-Fi always scanning option but if you feel need, please see the instructions. 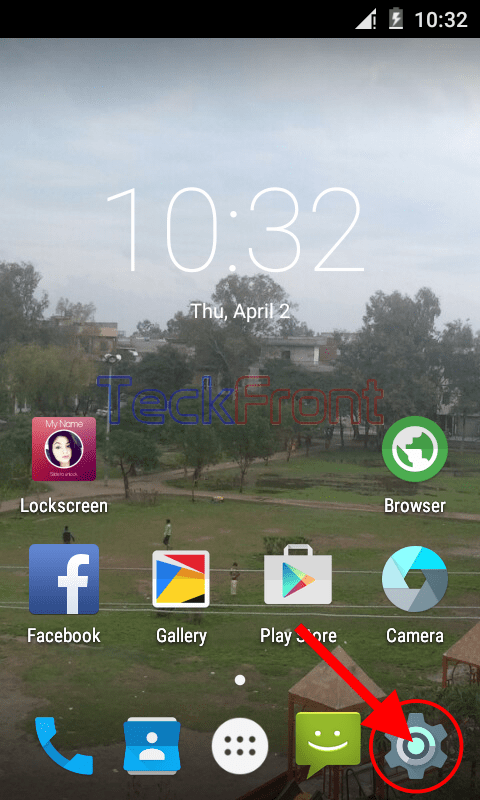 1: Tap the icon of ‘Settings’ on the Home screen of your Android 5.0.2 Lollipop device to open up the ‘Settings’. 2: At the ‘Settings’ screen, tap the ‘Wi-Fi’ in the ‘Wireless & networks’ section. It will open the ‘Wi-Fi’ screen. 3: At the ‘Wi-Fi’ screen, see the message / instructions from Android which says, ‘To see available networks, turn Wi-Fi on. Apps may scan for nearby networks, even when Wi-Fi is Off. 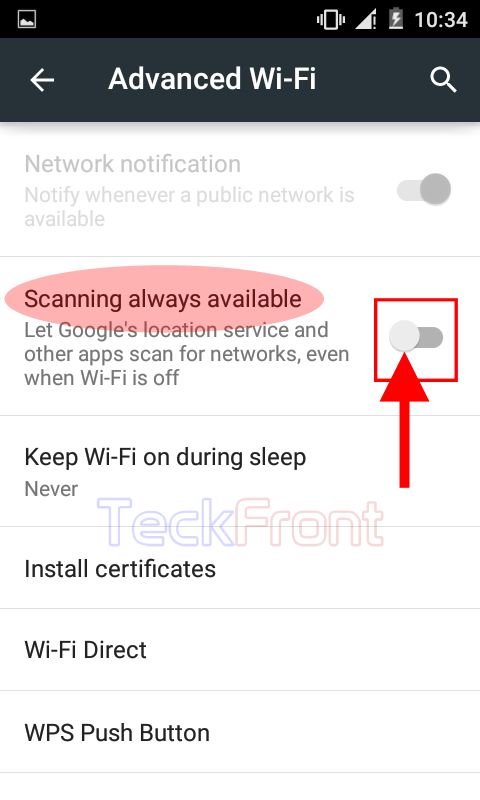 If you do not want this to happen, enable or disable at the Advanced > Scanning always available.’ 4: If you want to set the availability of scanning for always, tap the settings button, placed at the top right corner of the ‘Wi-Fi’ screen, immediately below the status bar. It will open up a popup menu. 5: Tap ‘Advanced’ in the popup menu. 6: At the ‘Advanced Wi-Fi’ screen, see the ‘Scanning always available’ is disabled and color of its switch is Grey, indicating that it is disabled, i.e. currently, always scanning for the networks is not available. It means apps cannot scan for the available networks and Google location service and other such apps cannot scan for your privacy. 7: Tap the switch of ‘Scanning always available’ and drag it to right. 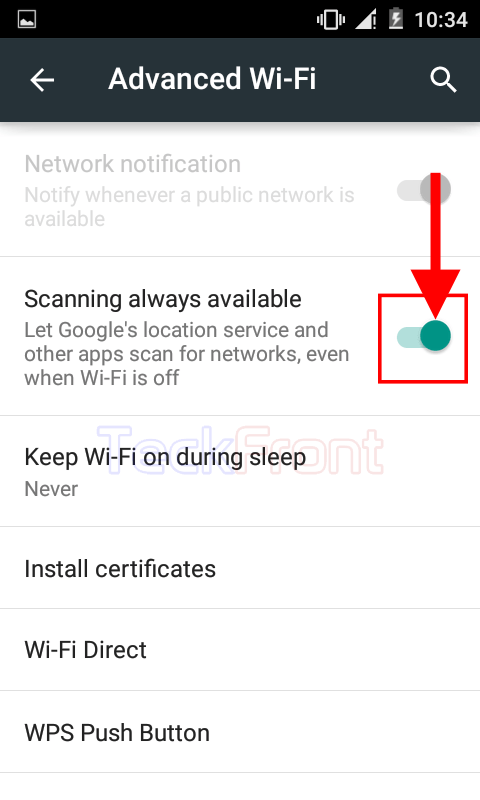 Now, see its color is changed to Green, indicating that, now Android device is always available to scan for the networks. From now onward, the Google’s location service and other apps at Android device will always be available to scan for the networks. Now, note it that your privacy and data protection is not safe. Newer How to Enable Public Network Notification in Android 5.0.2 Lollipop? 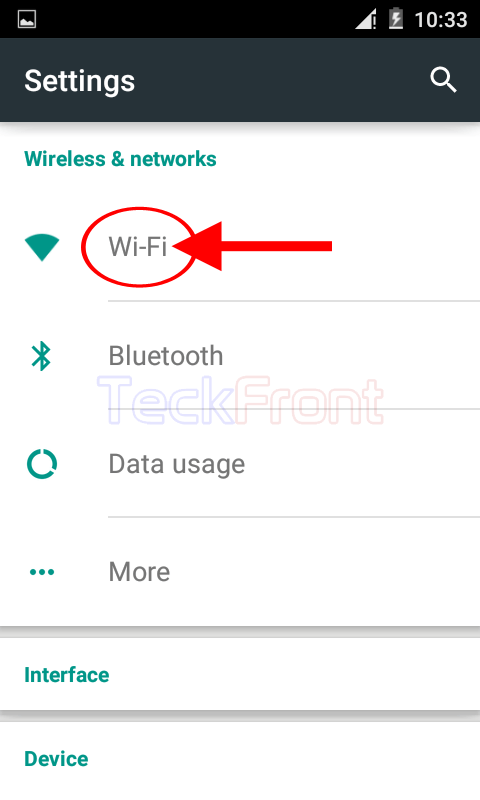 Older How to Switch On the Wi-Fi in Android 5.0.2 Lollipop Devices, Instantly?